When you are nursing, you may leek milk quite frequently. This is why we recommend that you take some breast pads. They are absorbent and are also shaped to fit in with your bra with the minimum amount of show. Adding nursing pads will mean that you won't have to wash your bra every time you leek milk – saving you time and money. 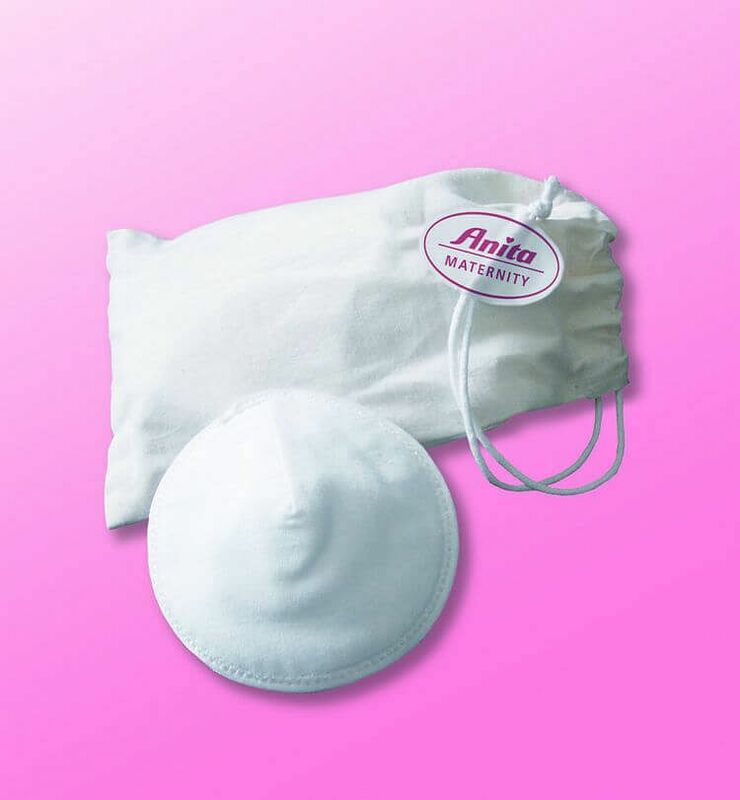 So what makes these Anita breast pads so good? Well, they have a soft cotton outer lining and a terry cloth inner lining which means you will find them really comfortable! They are also washable which means you will get more life from them, which helps you get even better value for money. They also come with a bag which allows you to keep them together when you wash them. A great choice for any nursing mother!